The Island Club is a non-profit exhibition space initiated and programmed by artist Christodoulos Panayiotou and managed by Androula Kafa. 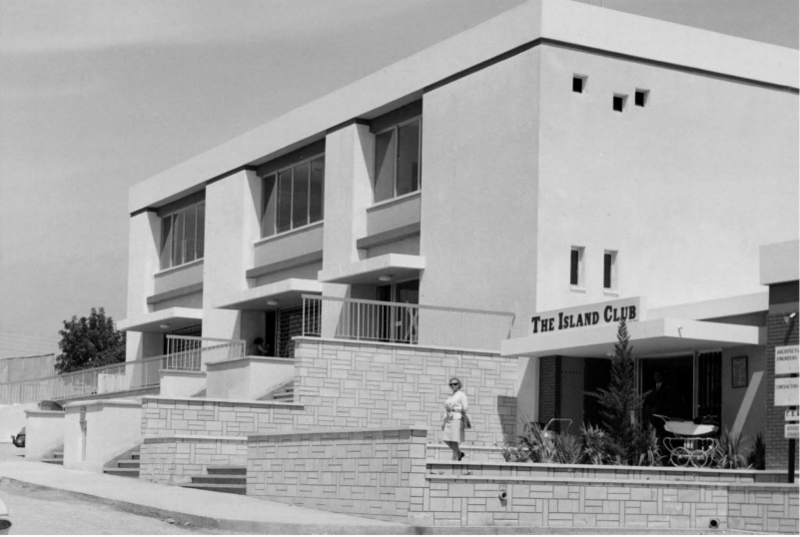 Located in Agora Anexartisias — a shopping arcade built in 1991 in the commercial centre of Limassol —, The Island Club appropriates the name of the NAAFI (Navy, Army and Air Force Institutes) family club that was established during colonial times in order to provide entertainment for the members of the British Armed Forces. As access to the club was restricted to service-men and their guests, it is now largely forgotten.